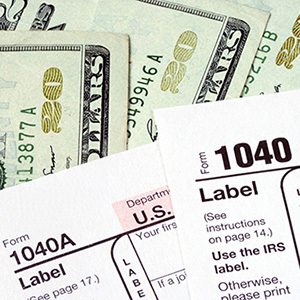 Dealing with your taxes doesn’t have to be a yearly burden—let the professionals at J & S Tax Services help! With over 35 years of professional tax experience behind us, we’re committed to helping you achieve the maximum refund possible. We’re proud to serve residents and businesses in Stilwell, OK and the surrounding areas, addressing all of their tax prep needs. When the Tax Man comes calling each year, it can be a headache for anyone to ensure that their state and federal taxes are filed correctly. J & S Tax Services is here to make your tax situation uncomplicated and seamless, from filling out all of the necessary forms, to obtaining the biggest refund possible. We understand the tax code in all of its facets, allowing our experienced and professional tax prep professionals to give you peace of mind and clarity when it comes to keeping your finances on the level each year. We provide professional tax return preparation in Stilwell, Maryetta, Cherry Tree and other cities and towns in Southern Adair County! We handle e-Filing of federal and state returns, ensuring the quickest refund possible. We serve both private customers and commercial businesses. We’ll represent you in front of the IRS in any audit situation. With over three and a half decades of professional experience, we’re the number one choice for tax preparation service! Our tax preparation services include: Tax Refunds, Income Taxes, Tax Return Service, Tax Audit Assistance, e-filing, Federal Tax Returns, State Tax Returns, IRS Audits, Personal Tax Returns, Business Tax Returns and more! Adair County, OK and more!